In a newly amended filing with the Securities and Exchange Commission, Mason Hawkins‘ Southeastern Asset Management reported raising its stake in Murphy Oil Corporation (NYSE:MUR). The passive stake has been increased to 19.52 million shares, from 16.62 million shares reported earlier. Following the increase, the stake amasses 11% of Murphy Oil’s common stock, versus 9.4% held earlier. Billionaire Mason Hawkins founded Southeastern in Tennessee in 1975 and over the years the fund has grown to over $30 billion in Assets Under Management and opened offices all around the globe. Southeastern is a 100% employee-owned fund with Mr. Hawkins’ stake amassing 50% of the fund. For the past two decades, Southeastern returned roughly 10.30%, beating the S&P 500’s gains of 7.81% per year on average. In the latest round of 13F filings, the fund reported an equity portfolio valued at $17.39 billion, which is a significant decline from the $20.43 billion held a year earlier. Murphy Oil Corporation (NYSE:MUR) has been in Southeastern’s equity portfolio since the third quarter of 2011, the investor initially holding 137,700 shares. 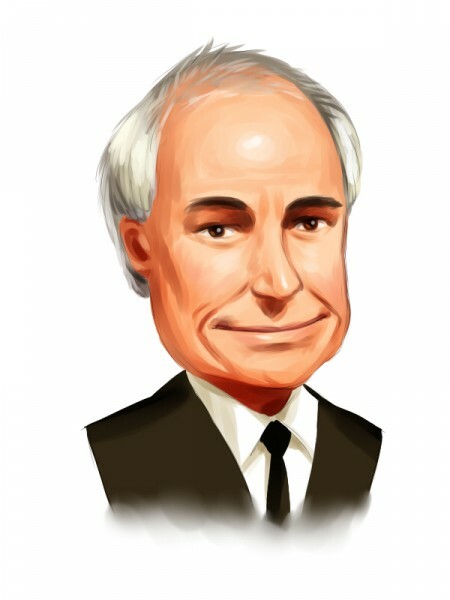 Mr. Hawkins has been trimming his stake in the company during the first three quarters of 2014, but during the fourth quarter, as the stock lost 12%, the investor raised the position by 18%. Murphy Oil Corporation (NYSE:MUR) is an Oil & Gas Exploration & Production company whose revenues for the second half of the year have been affected by declining oil prices, similar to the majority of its peers. Nevertheless, for full 2014, the company’s revenue slightly appreciated to $5.48 billion from $5.39 billion a year earlier, but its earnings fell to $5.03 per diluted share from $5.94. Morningstar has recently awarded Murphy Oil a ‘BBB-‘ credit rating and the consensus analyst rating for the stock is ‘Hold’. The majority of the top shareholders of Murphy Oil Corporation (NYSE:MUR) among funds that we track have raised their stakes during the fourth quarter. Richard S. Pzena‘s Pzena Investment Management upped its stake by 18% on the quarter to 4.79 million shares held as of the end of 2014, while Dmitry Balyasny’s Balyasny Asset Management increased its position by 270% to 411,800 shares. Additionally, there had been some insider trading activity earlier this year, as Murphy Oil’s Vice President and Treasurer John Gardner sold off his stake that contained 3,567 shares and director Walentin Mirosh sold 450 shares, cutting his stake to 6,247 shares. Aside from Murphy Oil, Southeastern has a significant amount of its equity portfolio allocated to the energy sector, with it representing 20% of the portfolio’s total value. One of the fund’s top three largest holdings in terms of value is represented by Chesapeake Energy Corporation (NYSE:CHK), the list also including Level 3 Communications, Inc. (NYSE:LVLT) and Loews Corporation (NYSE:L). The largest holding in Southeastern’s equity portfolio was represented by Level 3 Communications, Inc. (NYSE:LVLT), of which the fund owned 54.74 million shares valued at $2.70 billion as of the end of 2014. The telecommunications company was the fund’s top holding for the entire year, although the position had not been changed much until the fourth quarter, when the fund added some 9.30 million shares. The stake was increased as Level 3 Communications, Inc. (NYSE:LVLT) completed the acquisition of TW Telecom that had been announced earlier last year and the investor received additional shares under the terms of the merger. Moreover, Southeastern is the largest shareholder of Level 3 Communications, Inc. (NYSE:LVLT), followed by Keith Meister’s Corvex Capital, which initiated a new stake with 4.49 million shares during the fourth quarter and Jim Simons’ Renaissance Technologies, which upped its stake by 900% to 4.20 million shares during the same period.